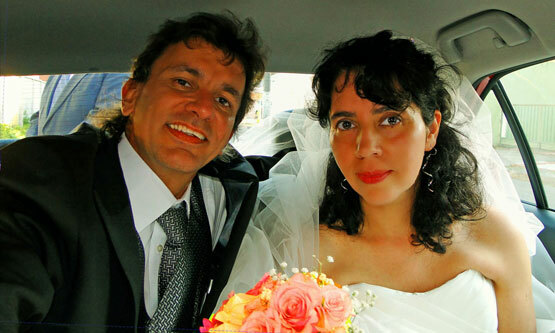 The 11th of November I married Jennifer Sanchez in Chile. We are now in Colombia South America for a week and we celebrate Christmas here with some children and volunteers of www.PrisonFellowshipColombia.com and www.YwamMedellin.com where I have worked before. The 29th of December we go to Curaçao. On Saturday the 7th of January we will have our “Wedding repetition” in the building which my parents rebuild in 1967 as the First church for the Full Gospel Mission on Curaçao called “Stromen van Kracht”. www.StromenVanKracht.nl You are very welcome. 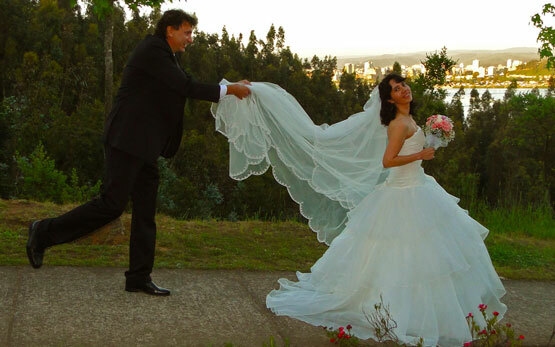 We start 5 pm with pictures and video from our wedding in Chile and afterwards the bride will enter. Rio Canarioweg 28 Church building of “Bida Nobo” Curacao. Daniel and Jeny married at the Registro Civil, Concepcion, Chili. 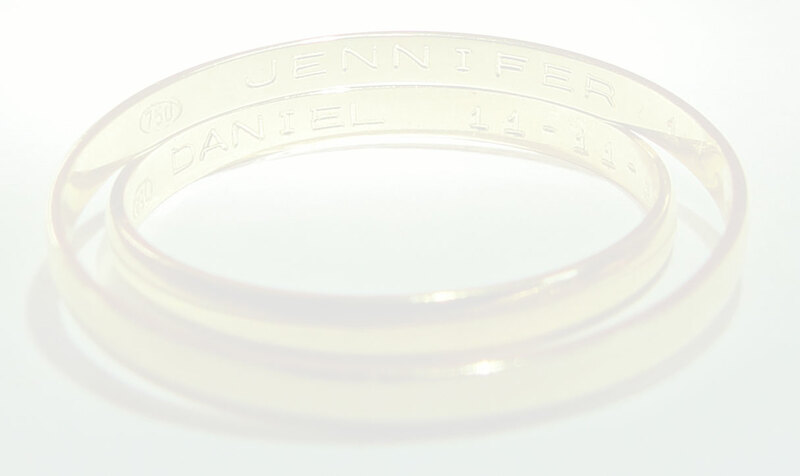 On this website you can see the pictures of our wedding. Here also you can place your greetings after sending it to my Email. DanielHuisman@Yahoo.com This is also our Guestbook. … With the help of God we want to commit ourselves to fulltime missions as volunteers to help people in need. We will continue our mission work the same as I did before. 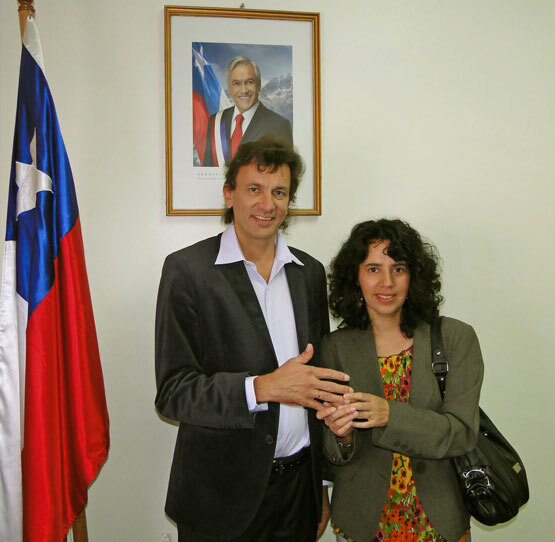 On the picture: Jeny and her pastor. He is an active man who does a lot to tell people about Jesus Christ in Chile and also among the original indigenous people the “Mapuche Indians” http://en.wikipedia.org/wiki/Mapuche Together with Jeny we joined her pastor going 300km south of Concepcion. 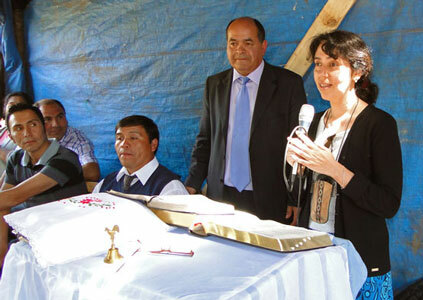 On the picture left is the laying of the First stone service of a new church building in the territory of the Mapuche Indians where Jeny speaks at the inauguration of the church. Some older people still remember Jeny her grandmother Carmen, who has worked in that area as a missionary. From January till May we will work at the Bethesda Mission Hospital on Borneo Indonesia as volunteers. On the picture I am with Dr. Geary (USA), He is the founder of the Hospital since the ‘60s. In the background you can see the Hospital. The staff is looking forward to me coming and helping with the continuation of renewing the water pipes and other technical repairs and jobs. Because of many leaks in the old water pipes there is not enough water in the dry season. 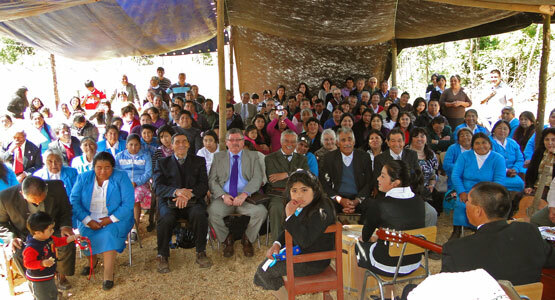 From 20-29 December we will be in Colombia to help out with the Christmas celebration for children and volunteers. From 29 December – 11 January we will be on Curaçao. Afterward we will go to Indonesia via Miami where we will work for 4 months in the Bethesda Mission Hospital as volunteers in the Technical department. A Health Insurance with World Coverage is mandatory before we go into missions. As of 1st of January we need to pay a Total of 3000 Euro which will cover the whole of the year 2012.